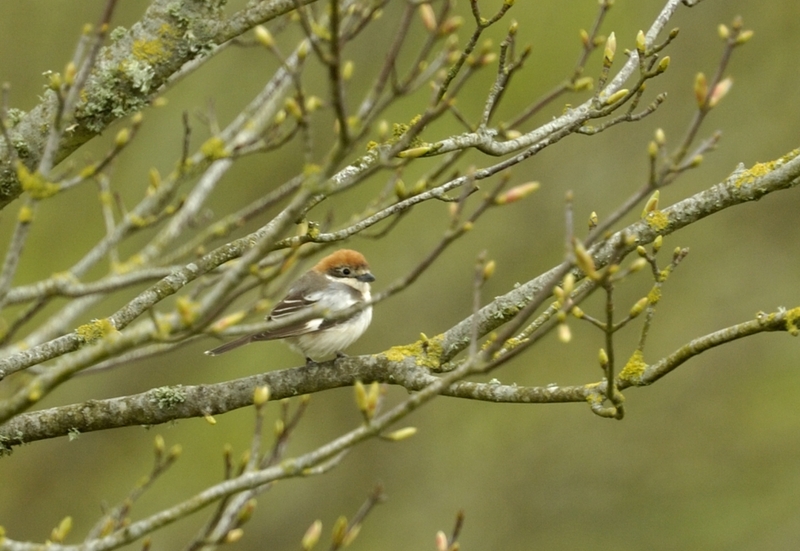 The second Woodchat of the season was found yesterday in the donkey field on the road between Kelynack and the Youth Hostel at Cot Valley. The bird seen at Kenidjack last week was clearly different to the one seen today; based on the amount of white on the lores and forehead, this bird is presumably a female. The amount of grey in the mantle also suggests a first summer bird. 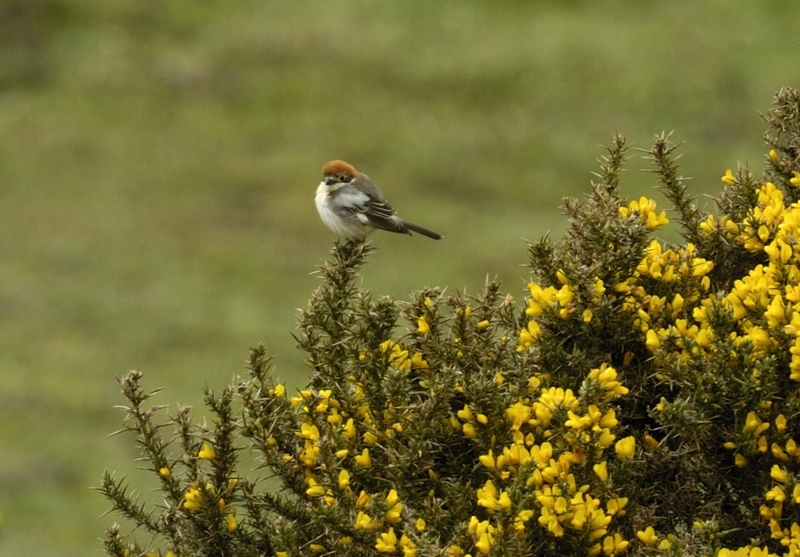 The bird was always quite distant favouring the gorse bushes at the bottom of the valley. For the keen eyed observers, the images are not quite as sharp as they normally appear on this blog. The reason is that they were taken with an old second hand Nikon D2H camera boasting a "massive" 4.1 mega pixel sensor! It can still churn out 8 frames per second though. This model was launched way back in 2003 but can still just about hold its own among the latest crop of 36 mega pixel cameras. 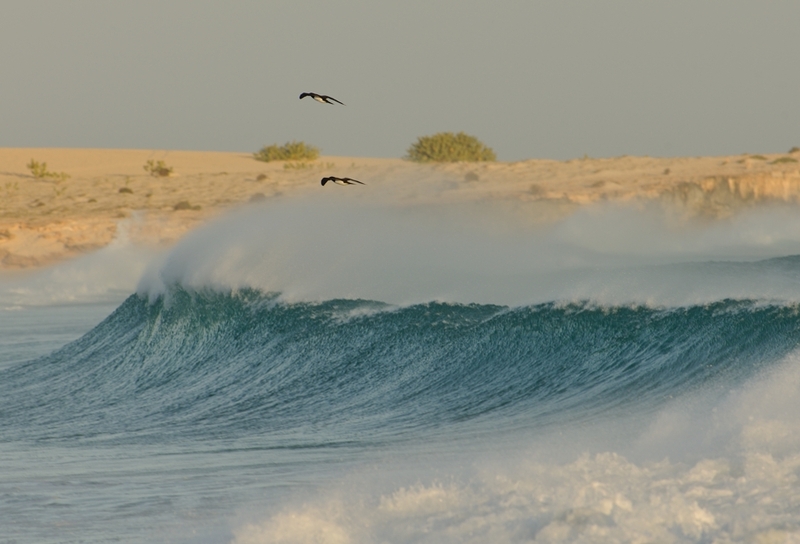 This post is my final post on a birding trip to Boa Vista, Cape Verde in March. 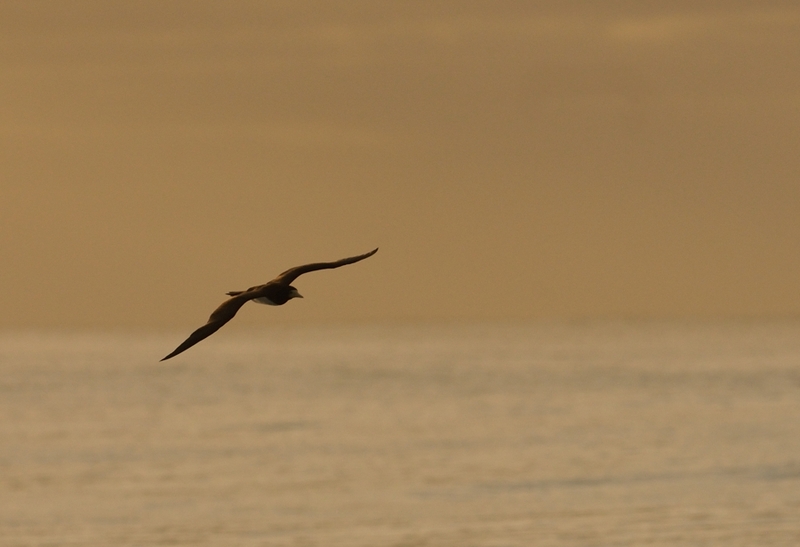 This post concentrates on seabirds, which was my main area of interest on this trip. The archipelago in general is extensive and to get to all parts in a two week period is difficult, so I had to give the north-west part a miss. 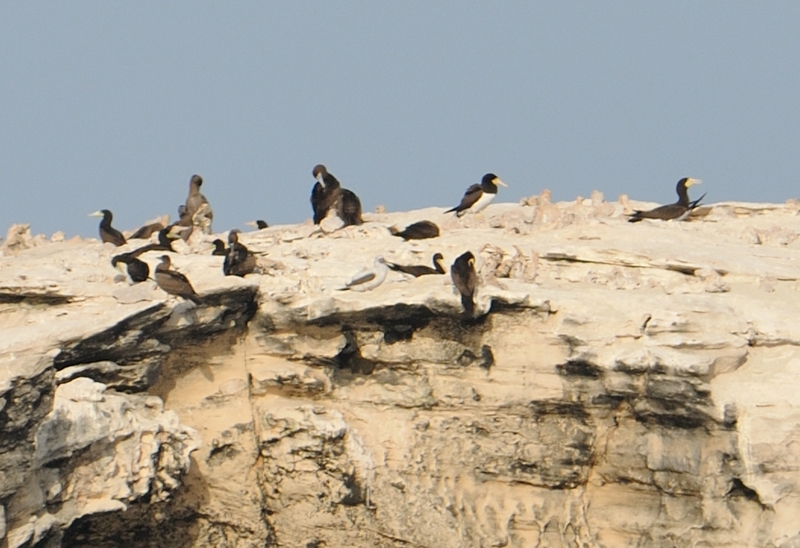 This was a bit of a shame as the largest seabird concentrations are in this corner. That said, I managed to get out on a whale watching trip(65 Euros) and also as an observer on a deep sea fishing safari (60 Euros) to catch Wahoo and Tuna. The latter trip lasted six hours and travelled 20 miles out - perfect. 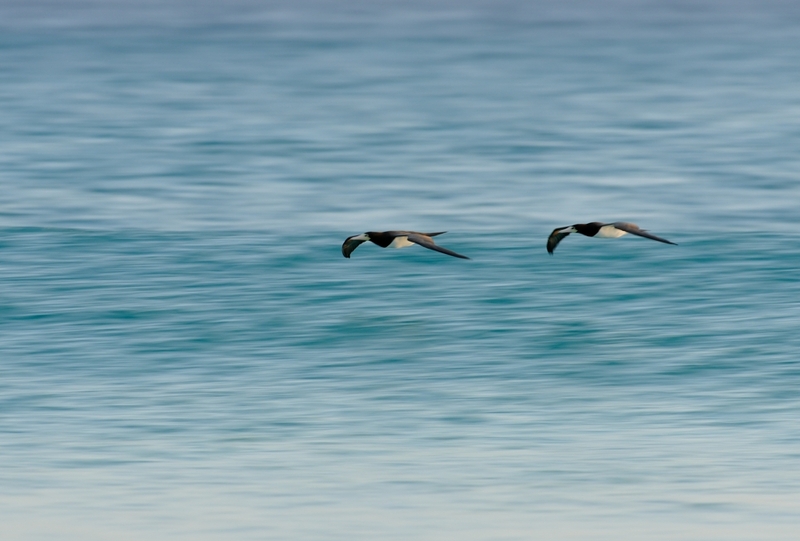 The highlight was two White-faced Storm Petrels. 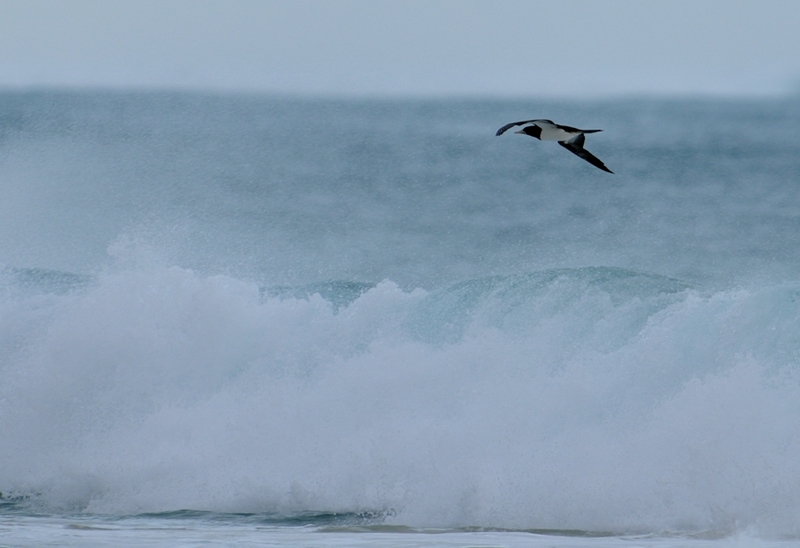 This charismatic species breeds fairly close nearby on an islet called Ilheu dos Passaros in the north east of Boa Vista. 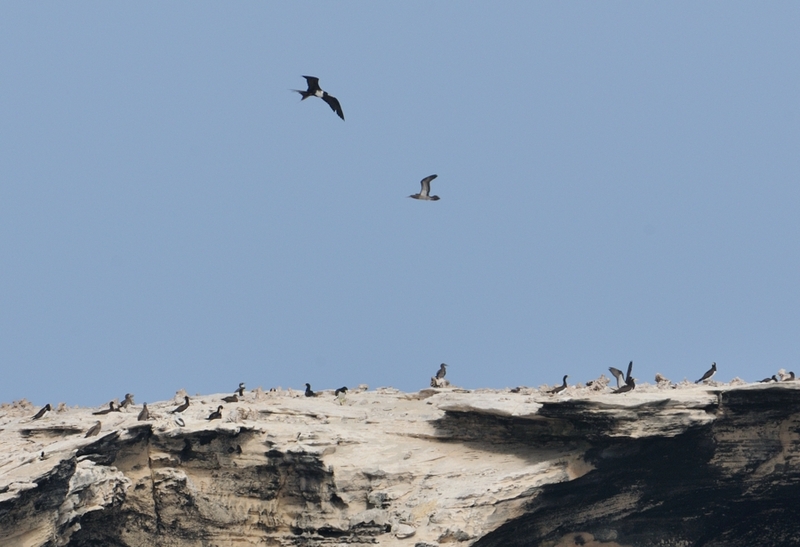 However they only arrive on the islet at nighttime and are difficult to see in the day. 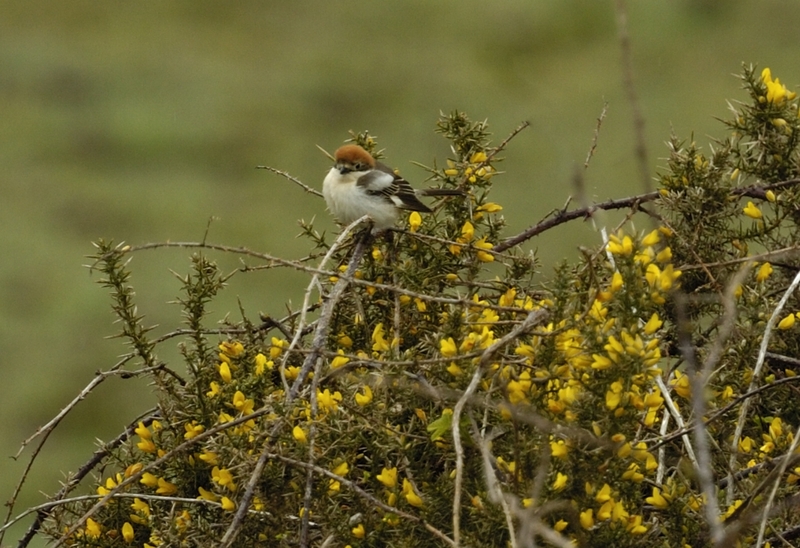 As you can imagine I was delighted to see this bird but disappointed that no photo's were taken. 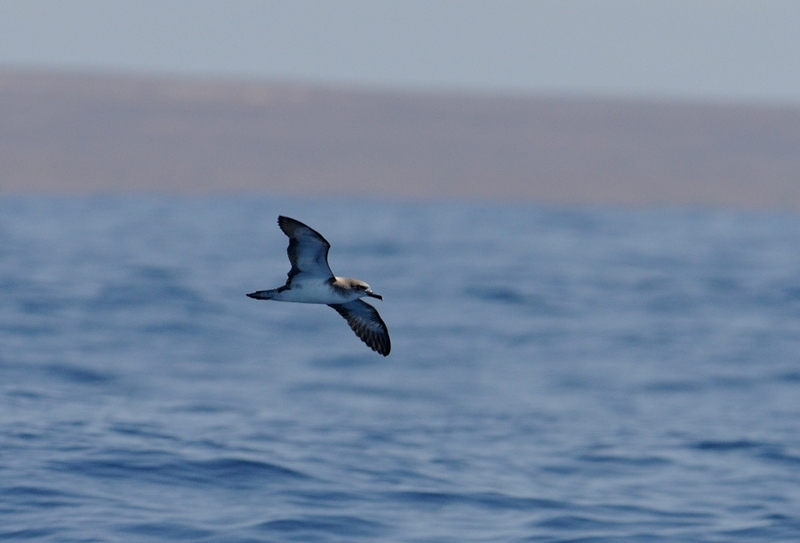 I also saw several Cape Verde Petrel and two Red-billed Tropicbirds. 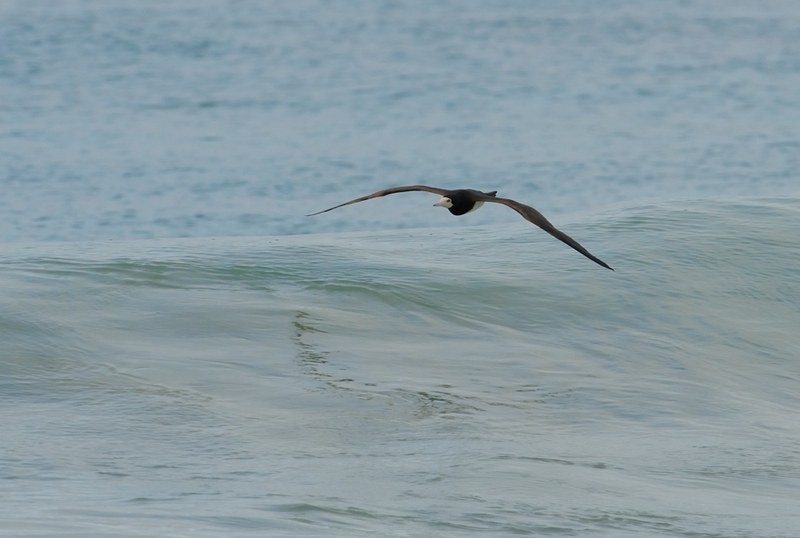 The commonest species was Brown Booby and they can be seen at close quarters along the surf of the beach as they dive at a low angle to catch fish, hence several photos are shown below. 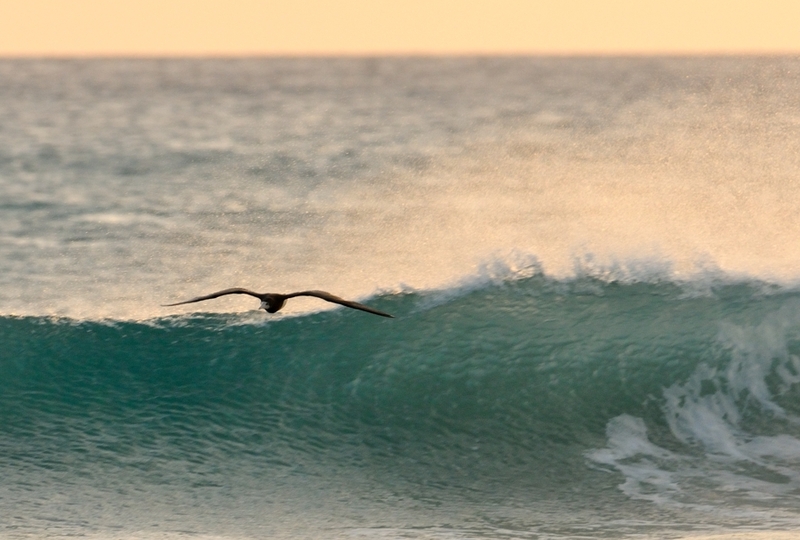 The species breeds on the small offshore island of Currel Velho, about two kms east of the hotel. 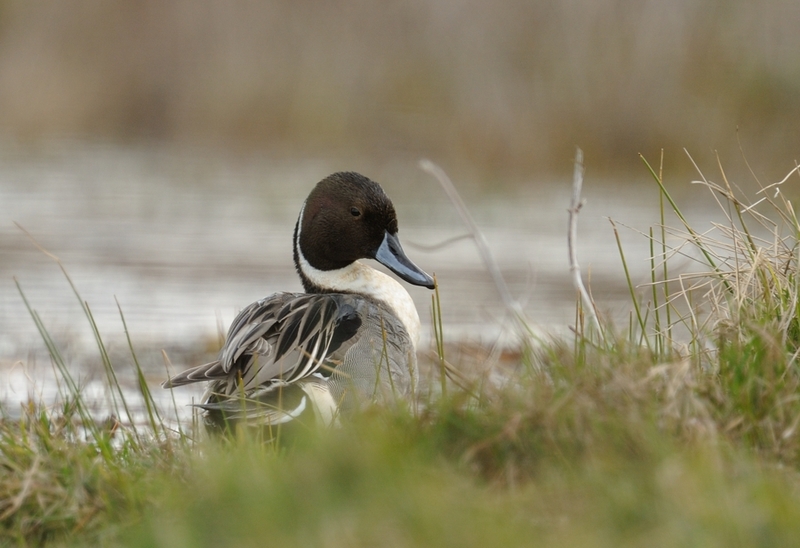 There are about 100 pairs breeding here. It was here that I saw what I originally thought was a Masked Booby though I am now pretty sure this is a young Brown Booby. Comments are welcome on this. 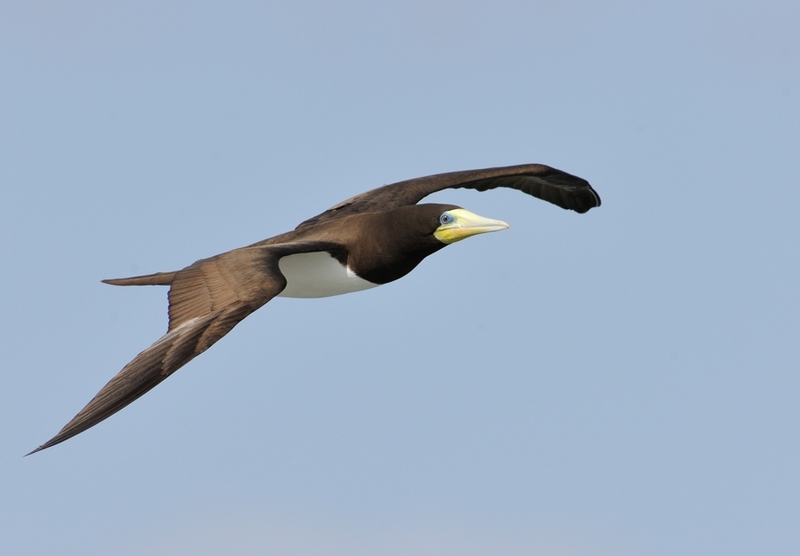 In addition to the common Brown Booby's, I also saw in total about ten Red-billed Tropicbird and a female Magnificent Frigatebird patrolling over Currel Velho. The male was apparently sitting on the nest. 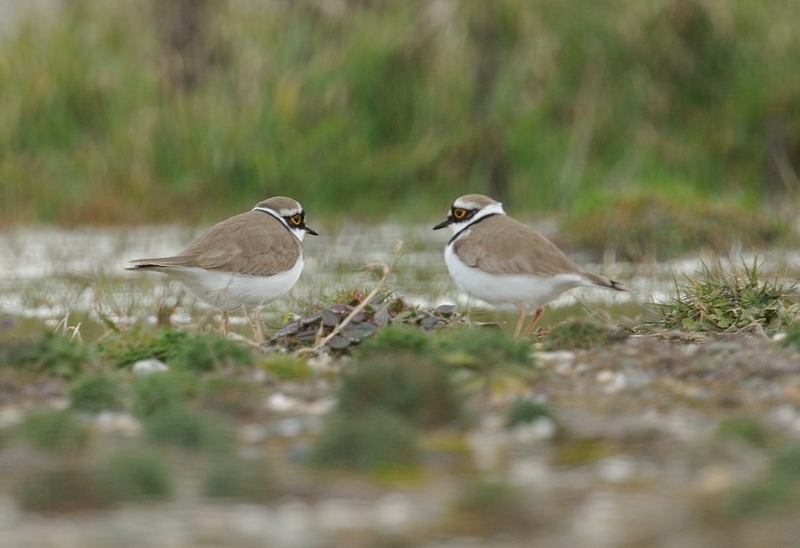 This pair is now the only two resident birds in the Western Palearctic. Two females have not definitly been seen together for a many months (per Pedro, local birder) so it seems this pair will soon become extinct here. 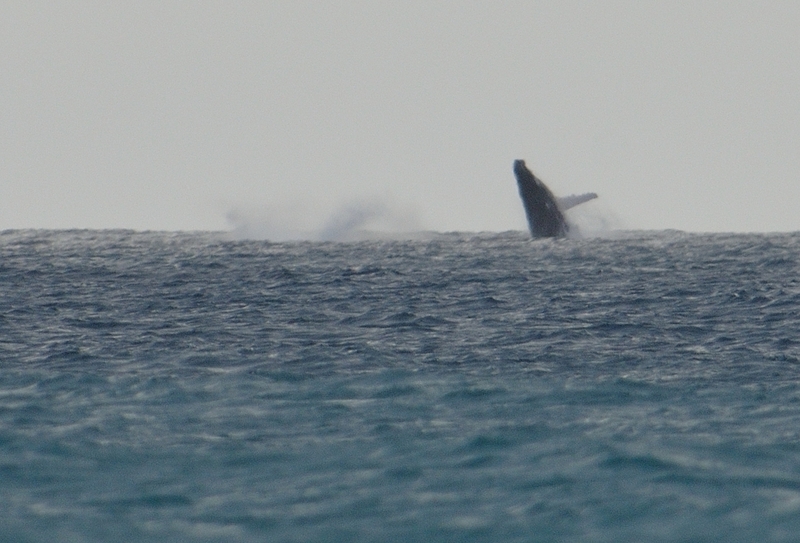 About a km off the hotel beach, I was also very lucky to see a mother Humpback Whale and calf leaping out of the sea. The image below is not the best but it does show the adult jumping and the splash to the left is the other one already going under. 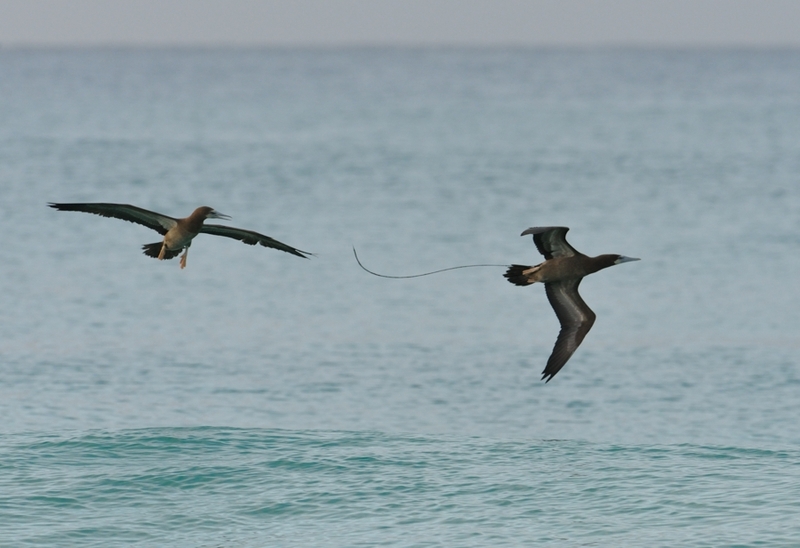 Pair of juv Brown Booby - the line is tangled fishing gut caught round its leg. With the extremely cold weather averaging just 2.2 degrees in March, there was much dispondency about the birding scene in Cornwall. Indeed, March 2013 was officially pronounced by the BBC as the coldest since 1962. That said, there has been some stunningly bright and clear days, ideal for mopping up those not-so-rare birds in the county. As it happens, there has been a lot to see. Three species in particular stand out for me. 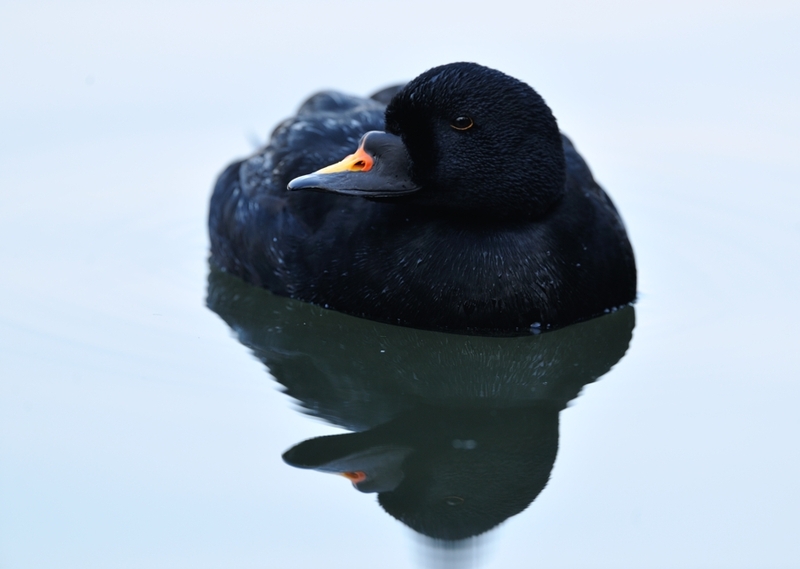 Common Scoter, Red-necked Grebe and Lapland Bunting are normally really difficult to see well, let alone photo. And they have offered themselves on a plate! On the extreme rarity front, the regular, returning Pacific Diver has been pretty tricky to see in Mount's Bay, often seen to the east of the Mount. The drake Lesser Scaup is presumably also a returning bird, popping up regularly at Colliford and more recently at Siblyback Res. I saw the drake Ring-necked Duck last Sunday at Par beach pool, neck-stretching regularly and showing its purple namesake. 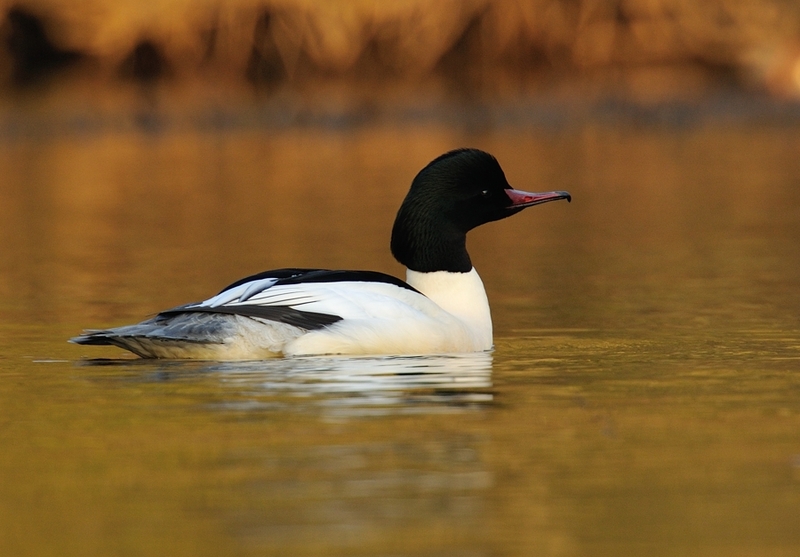 Continuing with the waterbird theme, drake Goosanders have been very photogenic at St Andrew's Pool and also last week one at Hayle. 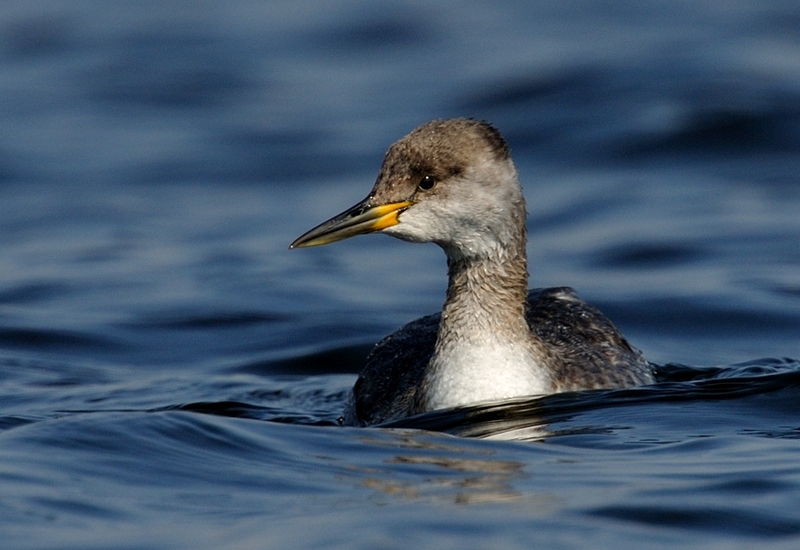 Black-throated Divers are now approaching summer plumage and can be seen in numbers in Gerrans Bay, sometimes quite close. 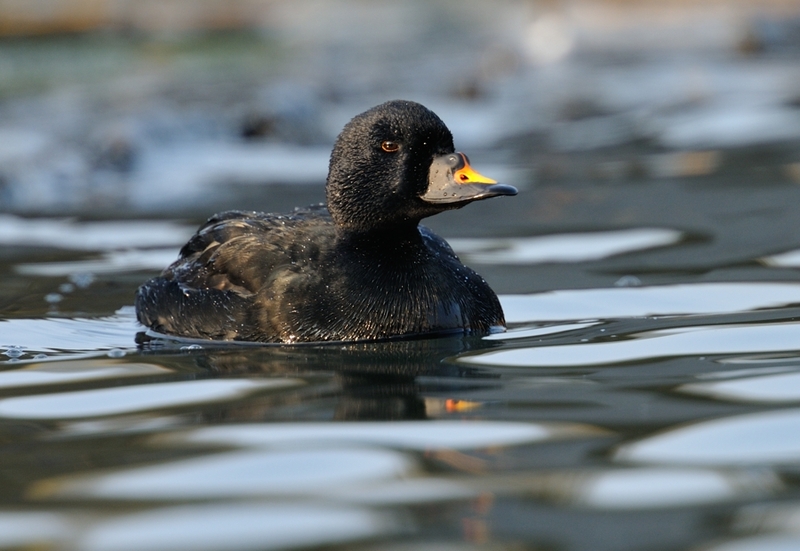 A decent raft of 50 or so Common Scoter could be seen at Porthpean and if lucky, a Velvet Scoter as well. 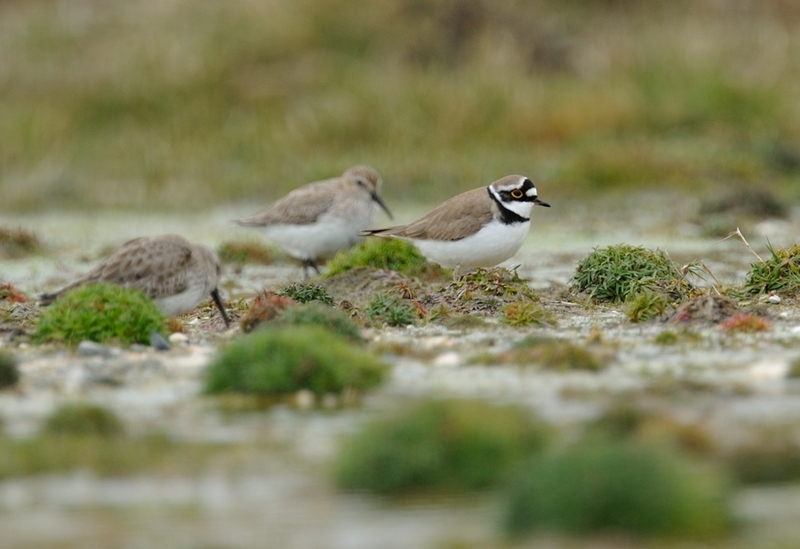 On the wader front, several Little Ringed Plovers were seen at the end of the month, with an obliging pair frequenting the scrape pool at St Gothians. Others have been seen at Treraven Meadows. 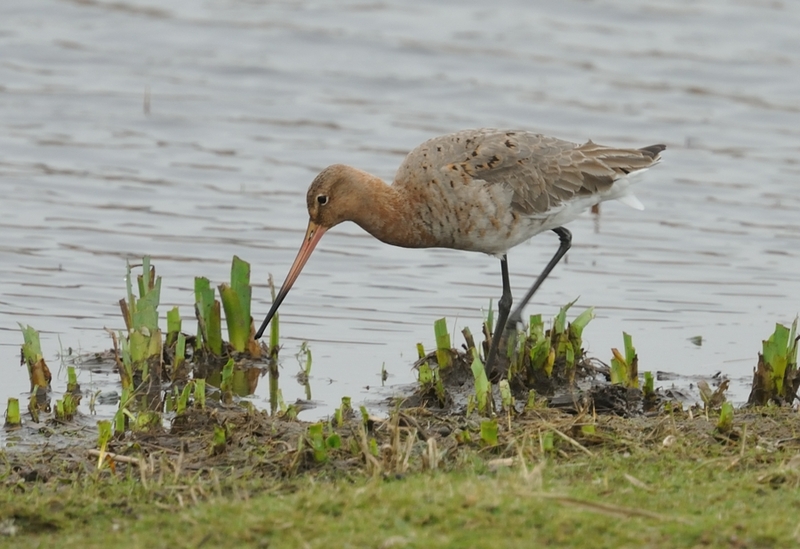 A Black-tailed Godwit at Marazion was showing characteristics of the limosa race and mirrors the record of one at the same place and same date last year. The normal early passerines battled the extreme wind and cold only to find little food here. A large fall of Chiffchaffs were resorting to feeding on grass verges and gardens - but how many perished? A Hoopoe was found moribund at St Agnes. There were good numbers of Sand Martins at the normal venues and Northern Wheatears tried to make it feel something like Spring. 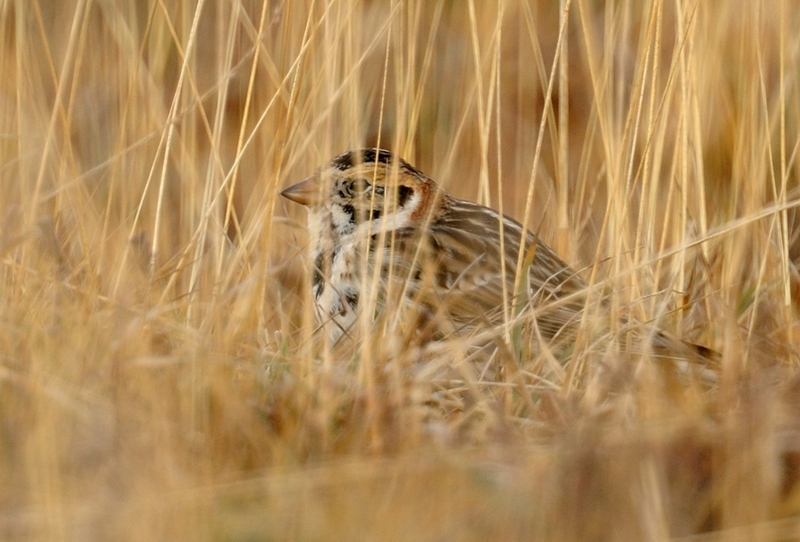 Male Lapland Bunting approaching summer plumage - up to 100 birds were counted at Rosenannon Downs near Wadebridge. 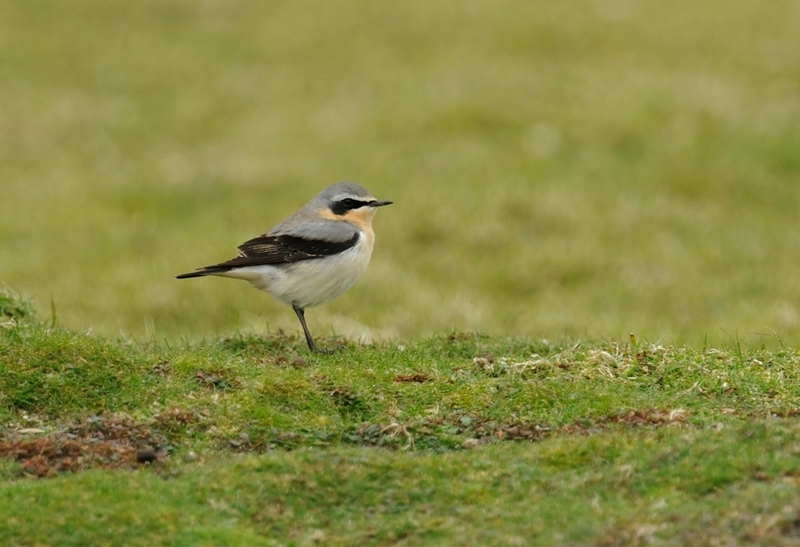 Male Northern Wheatear at Marazion Marsh.